On Pinterest (of course) I saw these adorable scalloped shorts from J.Crew. But the price tag ($100?!) and the pleated front made them unlikely to ever be purchased. 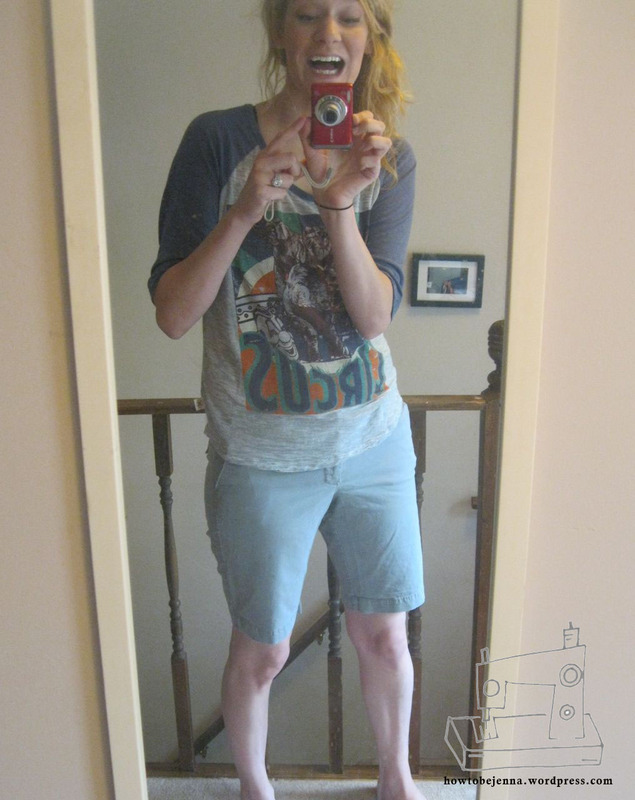 So I decided to alter a pair of shorts and make my own! 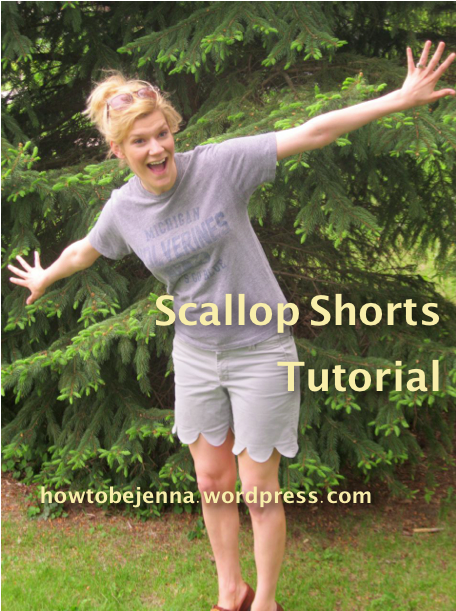 You want to have a whole number of scallops – no half scallops – cover the bottom hem of your new shorts. So take the circumference measurement of the leg from where you want the tip of the scallop to hit. On mine it was 20 inches around – divided by 6 scallops gave me 3 1/3 inches. It takes a little guessing. 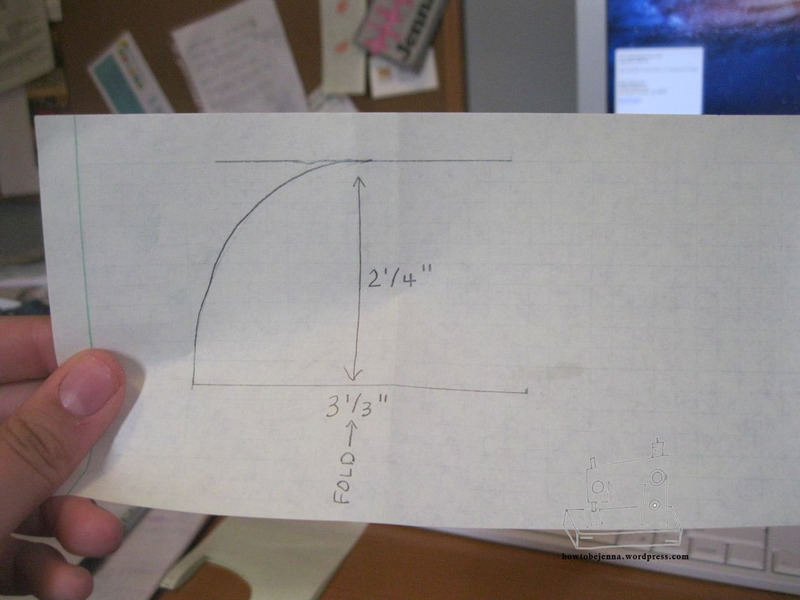 I made my scallops be 2 1/4 inch long and sketched my curve. Once it looked right, I folded the scallop in half and cut out the shape. 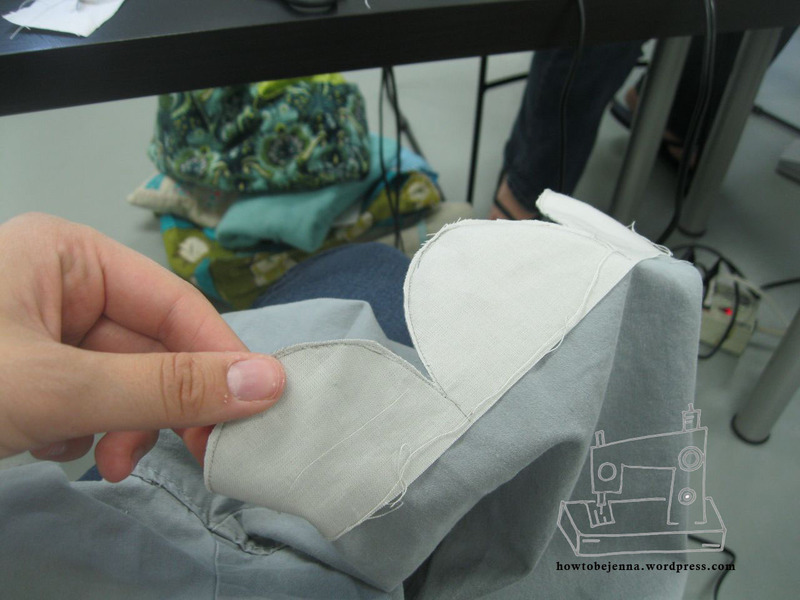 Trace the scallop shapes on a rectangle of lining fabric and pin it to the RIGHT side of the shorts fabric. Start in the inside thigh seam of the shorts – that way if things don’t end up lining up perfectly, it’ll be in an inconspicuous place. 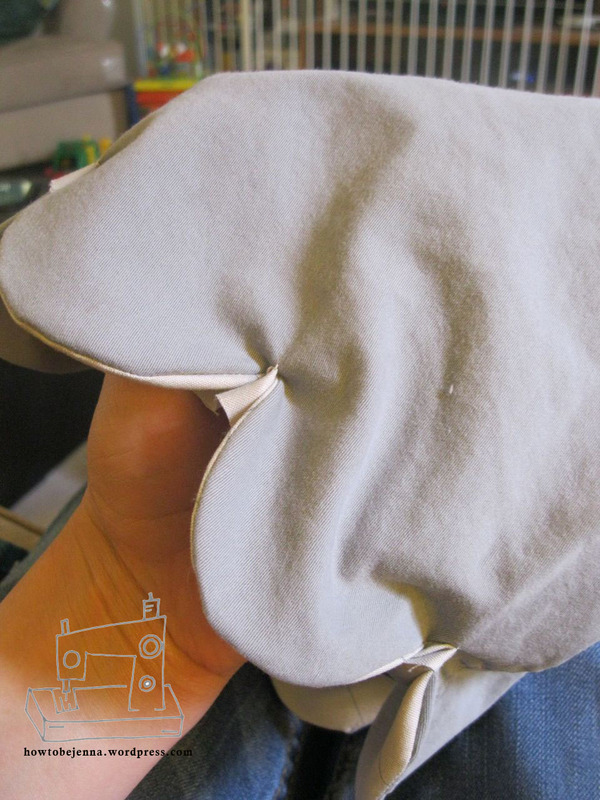 Sew **on** the trace line, using a very tight straight stitch. 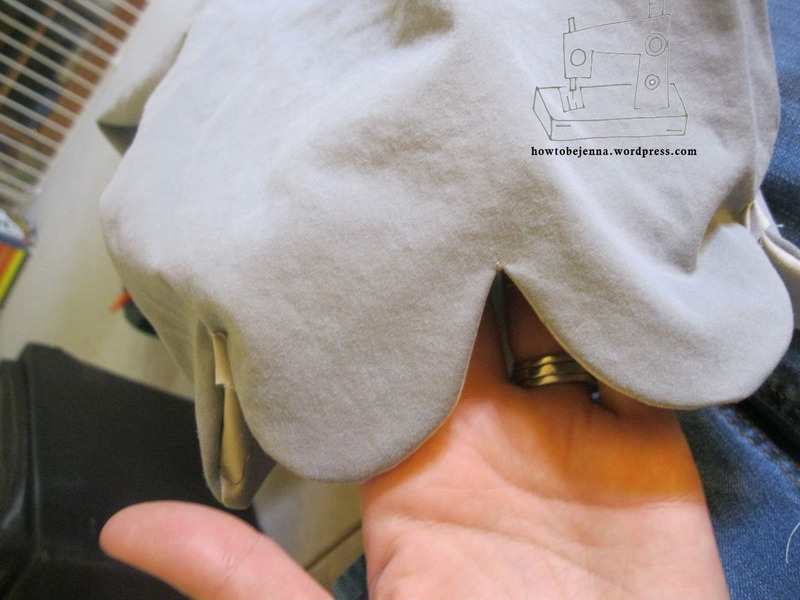 When you’re done sewing, cut off the excess fabric leaving a very scant (less than 1/8″) seam allowance. Clip into the valleys between the scallops. Be careful not to clip the threads. 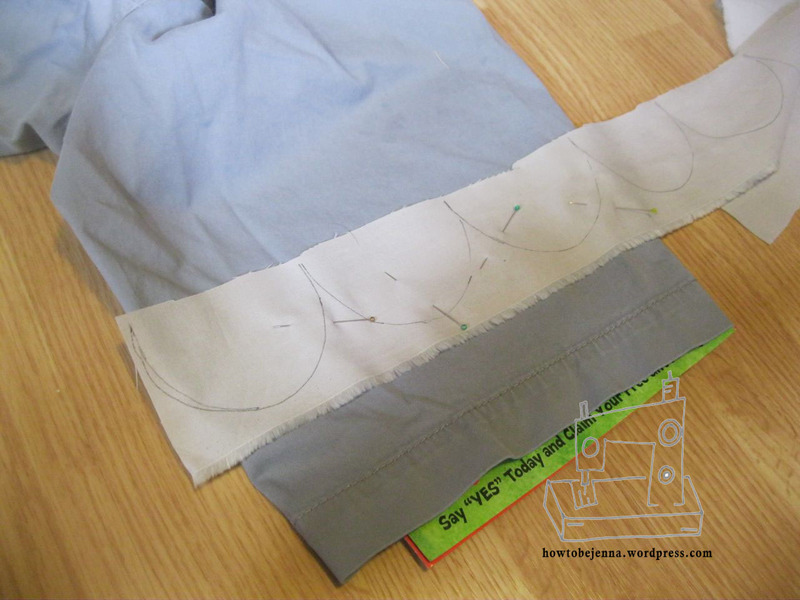 Flip the lining fabric into the shorts. The valleys between the scallops may look a little funky. 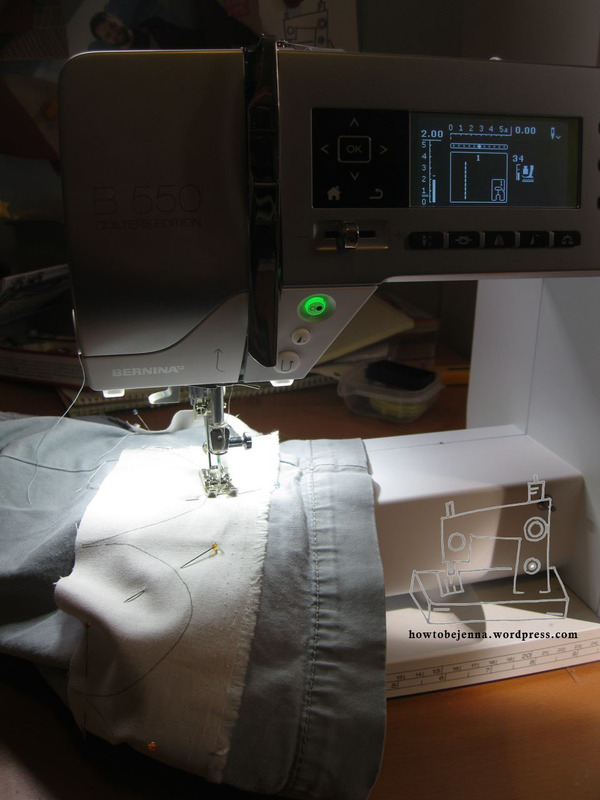 Use your seam ripper to knock out a couple of these threads and things will lay flat. After ripping out a couple of stitches in the valleys, things look great! If you are going to top-stitch your shorts, no worries here. 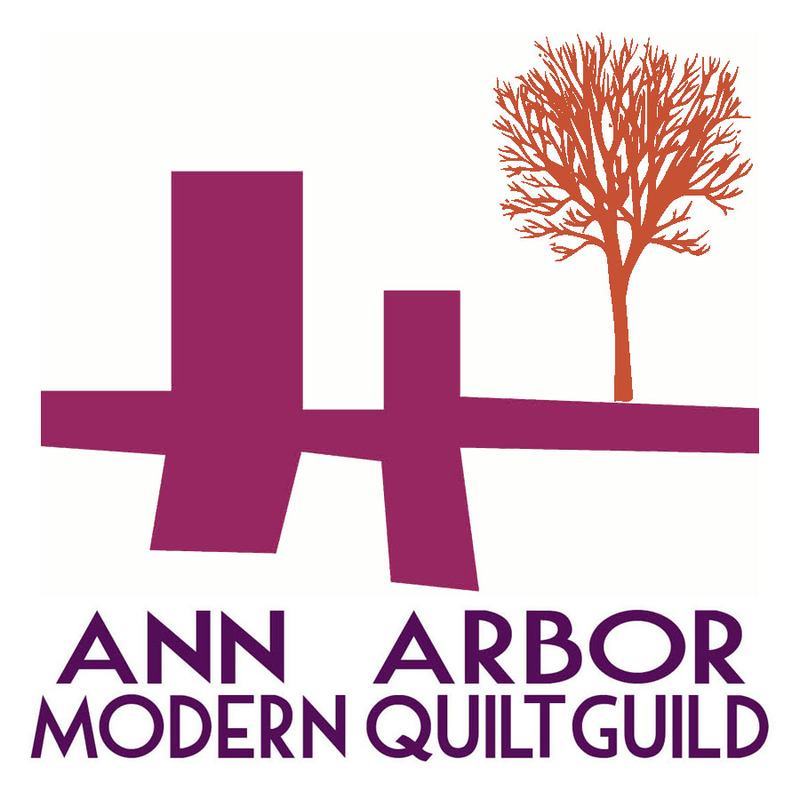 If you are not planning on top-stitching, you will want to blind stitch the valley where you snipped the stitches so things don’t fall apart. Top stitch the scallops for a finished look. 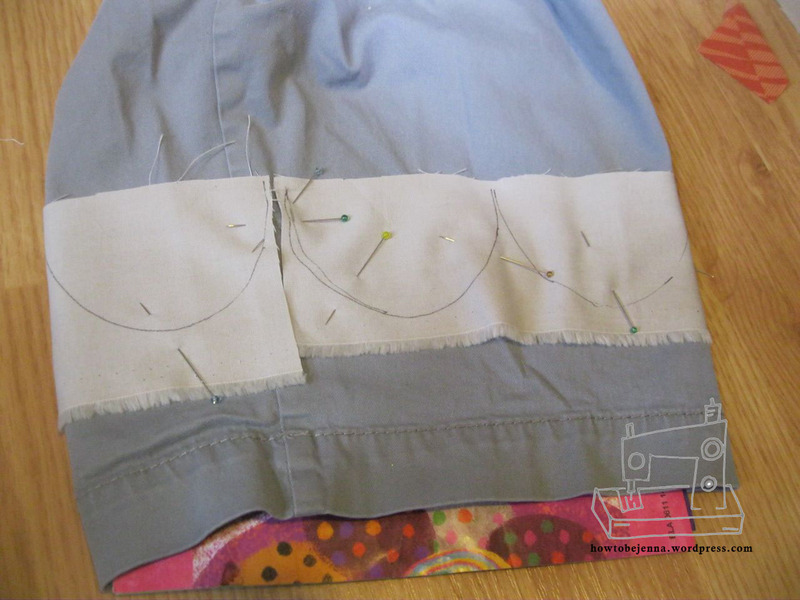 You can also blind stitch a folded over edge of the lining material to the inside of your shorts. This will keep everything laying nice and smooth even after washing. I need more pictures of you making crazy faces in order to understand this fully. : ) No, no I don’t! You’re shorts look great. YOUR. What’s the matter with me? You are not shorts, you have shorts. These turned out great. I can tell you are happy with them!